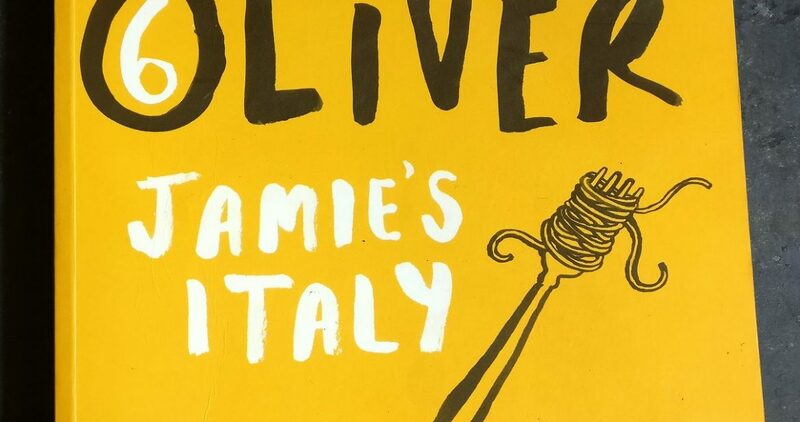 Last month we chose Jamie’s Italy for our Virtual cookbook club. I won this cookbook at an online recipe contest and cannot thank them enough for gifting me this book. 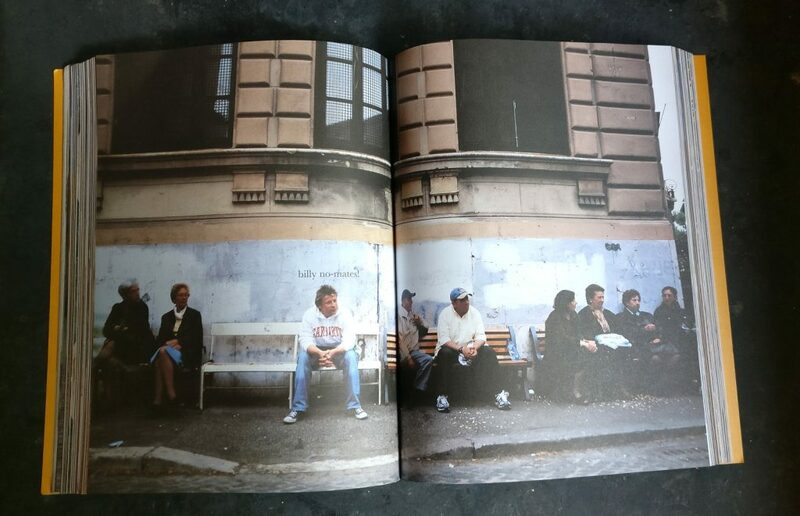 One look at the book and I knew I was in for a treat. 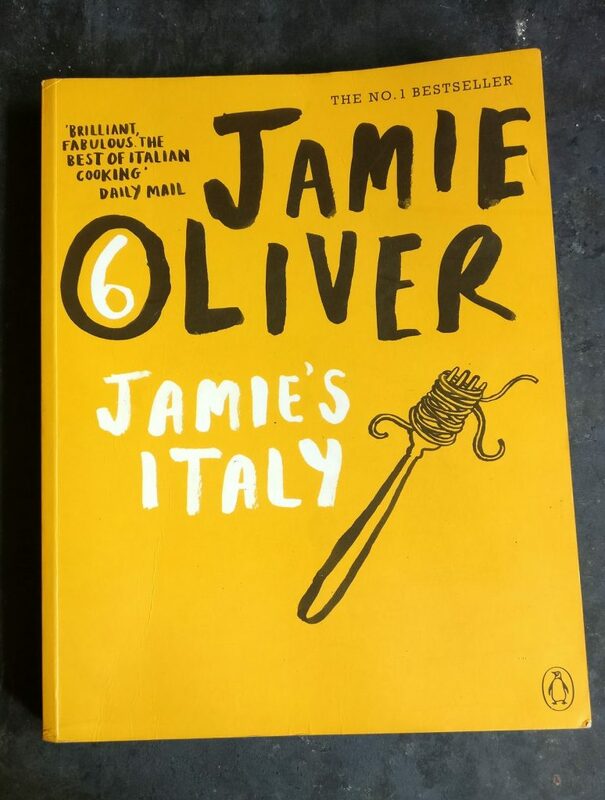 Jamie shares his experiences of his travels through the Italian countryside, eating and meeting people. The description and some candid photographs with locals take you to the quaint Italian villages and instantly connects you with the food of ‘real’ Italy. I have tried many recipes from the book by now. 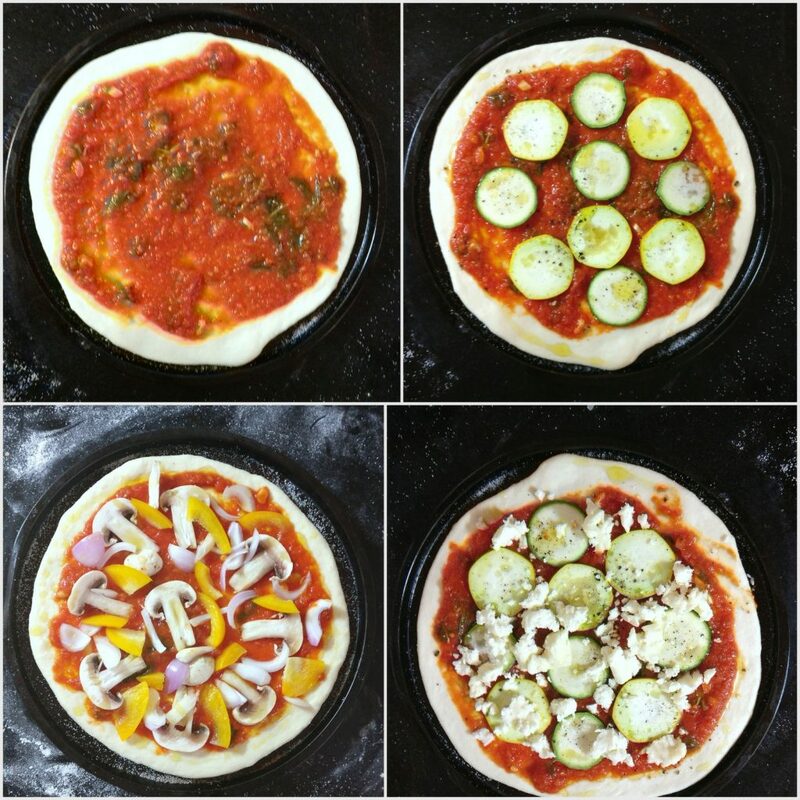 I have been making my own pizza dough for years now. I tried the pizza dough recipe from Jamie’s Italy and the crust was fantastic. This recipe uses semolina flour along with bread flour which makes the crust crisp and chewy. I have tried some soups,salads and side dishes. I am yet to explore the pastas and desserts. Some key ingredients like artichokes, fennel bulbs aren’t easily available where I live. Hope to find them in Mumbai on my next trip so that I can try the other recipes from the book. It’s a must have cookbook if you are looking to explore Italian cuisine beyond the usual popular dishes. My other Virtual cookbook club friends have tried some recipes from the book and have posted their reviews. Shaila: Prawns and Parsley frittatas. Lakshmi : The recipes in this book are very doable. I have tried the pizza recipe a number of times. The proofing time is very less but it works very well. Wanted to try this specially to see how the tamarind filing tastes. To my delight the mint, tamarind and chili filing brings about a great mix of flavors. Simple ingredients and great taste. Orange juice gives it a completely new dimension. I have shared this recipe with so many people and everyone has enjoyed it. A must try. Chicken Rasam and rice is a great combination. Comfort food. Recipe is simple and wholesome. I used chicken stock instead of water to make it more flavourful. And had it with chicken pieces inside instead of removing it as suggested. Highly addictive. 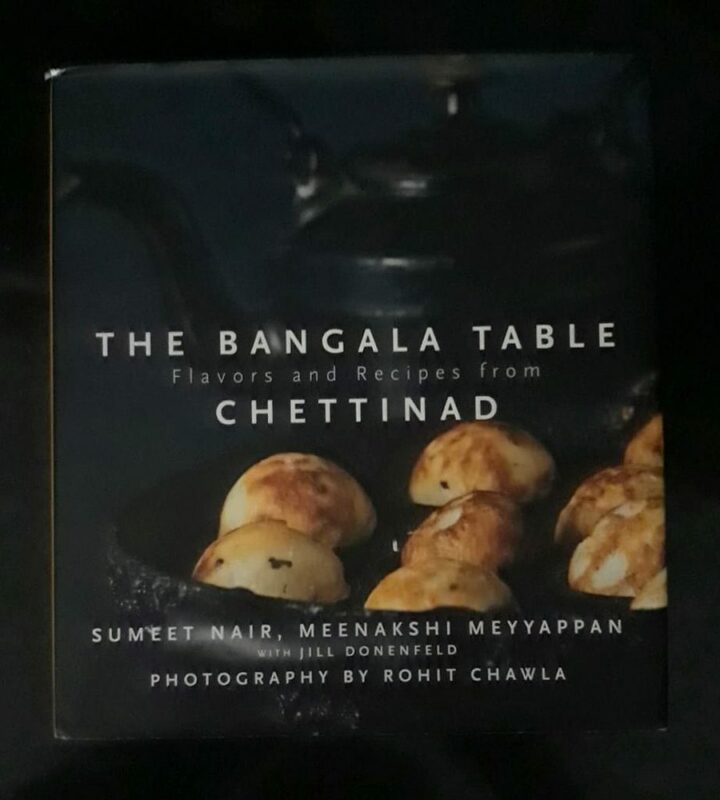 Originated from ‘The Bangala’ in Karaikudi, Tamil nadu; this book introduces us to the well known yet least known cuisine from Chettinad. I have tried many, vegetable stew & aapam being my favourite. Pineapple Rasam – love the sweet and tangy flavour. I accompanied it with Coconut rice which has become favourite with my family . Also tried the corn cutlets. My children loved having them in their tiffins. The first thing that attracted me to this book was the non veg recipes. Being a non veg lover and having a daughter who is one too, it was an absolute treat to try out the recipes. I tried out Prawns Masala, Chicken Chettinad pepper Masala and the Masala fried fish. The prawns masala was an absolute hit and was eaten without any accompaniments. I just added some green chilli paste to the Masala fish to make it spicier. I still have to try out the corn cutlets and the tomato chutney. Which I am sure will be great!